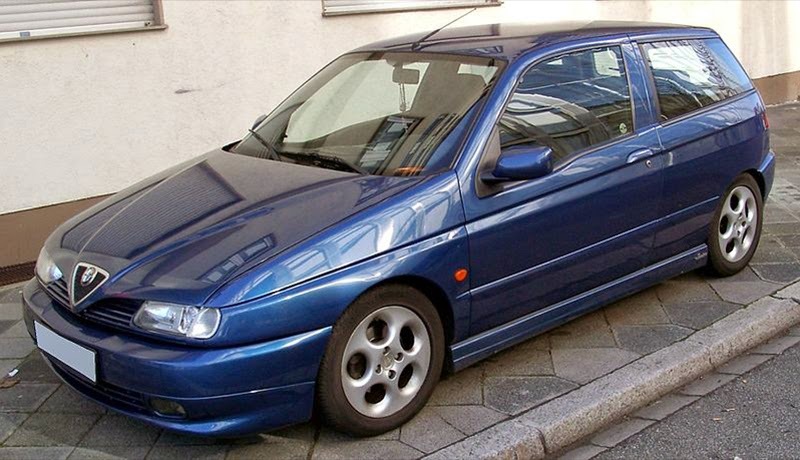 The Alfa Romeo 145 (Type 930) is a small family car produced by the Italian automaker Alfa Romeo between 1994 and 2000. It was launched at the 1994 Turin Motor Show. The 145 shares design plans and interior components from the B-pillar forwards with the 146. 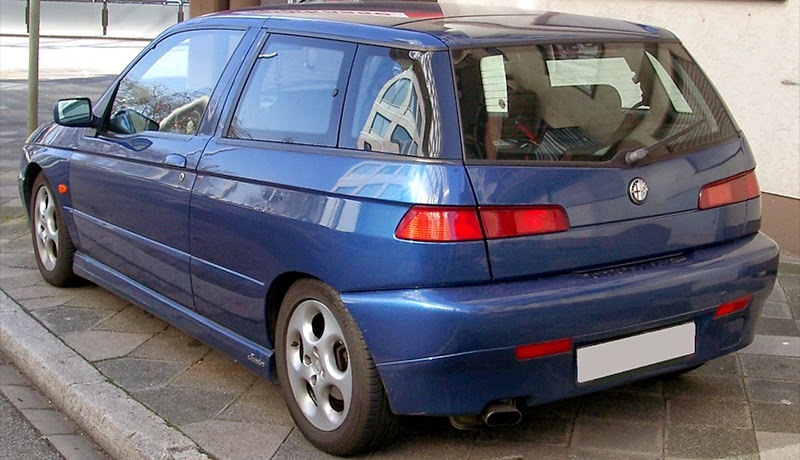 The 145 is a three-door hatchback and 146 is a five-door family hatchback. 221,037 145s were built. To replace its ageing 33 model, Alfa Romeo launched the 145 in 1994 to compete in an extremely competitive mid-size hatchback market. A spacious and uniquely Italian interior was presented to the press at the 1994 launch, and by all accounts well received. The oddly shaped, cut-away dashboard attracted much attention, but in fact the design was for safety and practicality rather than aesthetics. Based, as they were, on the Fiat Group's Tipo Due platform, the cars were widely praised for their handling, particularly their sharp, responsive steering. Early cars used boxer engines passed down from the old 33 in 1.3/1.4 (same engine, badge depending on market—not sold in UK), 1.6 8 valve and 1.7 16 valve forms. In 1996, the flagship Cloverleaf model was launched with the 2.0-litre Twin Spark engine already seen in the 155 sister car. 1.6 and 1.8 Twin Spark engines soon followed to replace the less powerful boxers. The 1.8-litre and 2.0-litre engine cars were equipped with 'quick-rack' steering (also seen on the 155, GTV and Spider) which improved steering responsiveness, but as a result the turning circle was compromised. This was also featured on the 1.6-litre Junior model in 1998. The sporty suspension set-up was harsher than many others in its category at the time, but this was in line with the Fiat Group's marketing of Alfa Romeo as a sporting brand and it is said to have resulted in class leading handling. Styling themes introduced in the Alfa Romeo 164 were continued. The more conservatively styled 146 proved a bigger sales success than the edgy design of the 145, which in retrospect appears too avant-garde for main stream sales success. 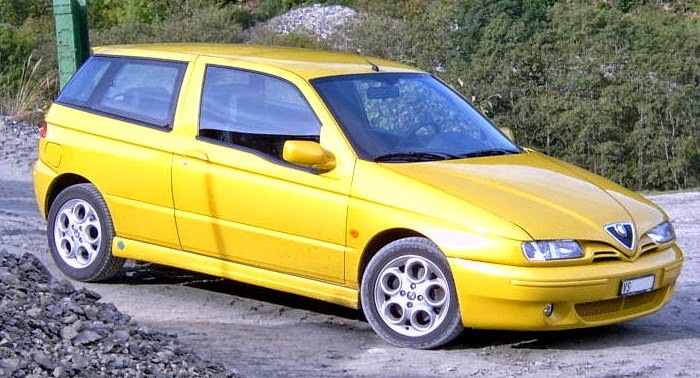 The 145 has a strong followings, particularly in top specification Cloverleaf guise, it is seen, along with the 146 as not only the last old school hot hatch built by Alfa but, arguably, by any car company. While the volume of 145s sold was moderately low, parts availability remains good, in most cases direct from Alfa Romeo. Owners clubs can often advise on multiple sources of parts or workarounds. Eventually, in 2000, the cars were superseded by the all-new 147, which was a far bigger commercial success, with its acclaimed styling front end and improved quality. Still, many enthusiasts feel that it lost a little of the special feel and Alfa Romeo that the 145 had. The 145 is prized by performance minded Alfisti as a source of performance upgrades for the earlier Sprint. As these cars were initially designed for use with the Alfasud boxer engines, and later updates with Twinspark units, it is technically feasible to take a late 16v boxer engine from these cars and directly transplant it into a Sprint, giving the car a tremendous performance upgrade in the process. 1994 – 145 launched. Engines were 1.4 8v Boxer, 1.6 8v Boxer, 1.7 16v Boxer and 1.9 Turbo Diesel. 1996 – 145 Cloverleaf model introduced, using 2.0 16v Twin Spark engine. 1997 – All Boxer engines replaced by more powerful, more efficient Twin Spark engines. 1998 – New Twin Spark engines from the Alfa Romeo 156 were imported into the 145 to replace the existing designs, with new plastic valve cover. Engine power was slightly raised. Last updated on 6 April 2014 at 10:41.